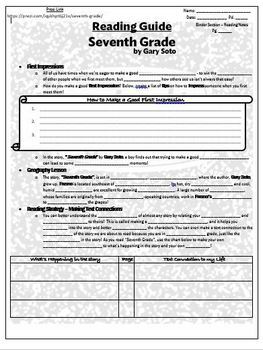 This is a comprehensive reading guide for the story "Seventh Grade" by Gary Soto. The reading guide includes a companion Prezi and focuses on making text connections. 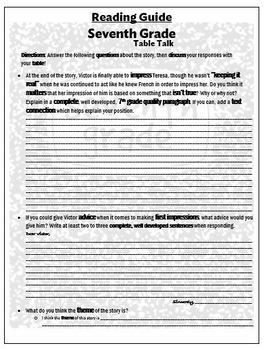 The reading guide also includes a "table talk" section for socratic discussions.